A simple yet comforting dish which can be eaten on its own or as a side dish. You could add more colour with the addition of broccoli or spinach. Follow a recipe; follow food safety & hygiene rules; tidy away; use a jug to measure liquids; use balance/digital scales; chop using bridge/claw safely; use a box grater safely; use a hob (with adult supervision); use a colander; season to taste. Saucepan, wooden spoon, measuring jug, knife, chopping board, colander, baking dish, oven gloves. 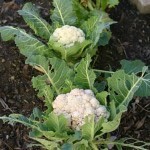 Remove the green leaves and stalk from the cauliflower and cut into florets. Place the cauliflower into a saucepan of water. Boil and then simmer for 4-5 minutes. Drain the cauliflower and place in baking dish. 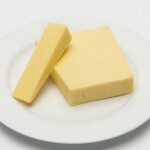 Melt the butter or margarine in a saucepan. Add the flour and stir into a paste. Gradually add the milk, stirring constantly. Slowly bring to the boil; the sauce will become thick. Reduce the heat and simmer for 2 minutes. Add 50g of the cheese to the sauce with the mustard, and stir until it melts. 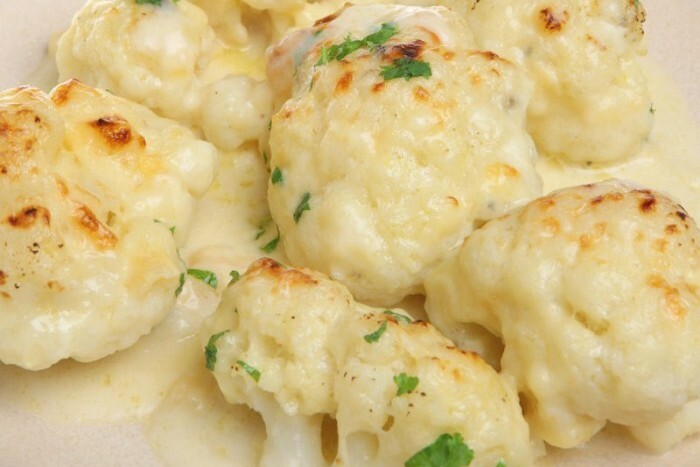 Pour the cheese sauce over the cauliflower. Using oven gloves, place under the grill until golden brown. Cauliflower is an excellent source of vitamin C, and is a good source of folates and other phytochemicals linked to good health. It’s also low in calories and high in fibre.